AN OVERSEAS holiday with some old high school mates almost cost Jeremy McGovern his football dream. The year was 2013, and life was good for McGovern. 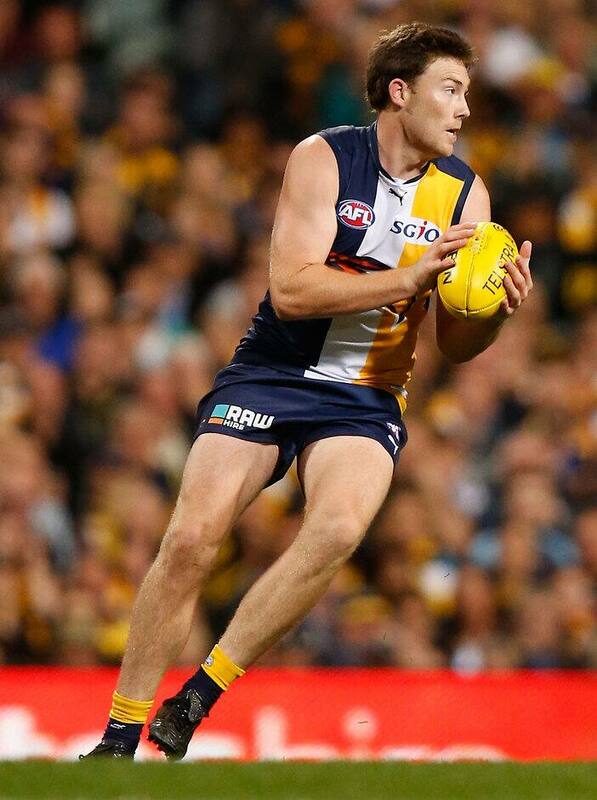 Despite battling a raft of injuries during his time as a rookie on West Coast's list, McGovern was upgraded to the senior squad. His recent operation to fix a hip complaint had gone well, and he headed off to Phuket for a well-earned rest. The food was good in the tourist hot spot, and the beers tasted even better. As each day passed, McGovern's body started to change shape. The weight piled on, and his fitness base diminished. McGovern didn't realise it at the time, but he was fast falling off the pace of what was required to be an elite AFL player. McGovern was noticeably heavier when he returned to pre-season training in late 2013, and it didn't take long for the club's coaching staff to cotton on that something was awry. New coach Adam Simpson was confronted with his first big call. In the end, it was an easy decision to make. McGovern was banished from the club, and told he wouldn't be allowed to return until he improved his fitness and lost some weight. The 195cm swingman was a nobody at the time, and the outside world wouldn't have blinked an eye if he simply faded from the AFL scene. But McGovern didn't want that to happen, so he worked hard to regain his fitness and win back the trust of everyone he loved at the Eagles. After losing almost 10kg and improving his skin folds, McGovern was welcomed back with open arms. He has repaid the club in spades ever since. "I definitely deserved it. I had no one else to blame but myself," McGovern says of Simpson's decision to exile him. "I was pretty unprofessional off the field. "I just really wanted to enjoy myself in the break. "I didn't get that balance right between being a professional athlete and trying to enjoy myself. "When I came back to training, I didn't think I was going to be that bad. "But when you come back and see that your teammates are really upset, it definitely hurts. "From there I just tried to clean up my act, and I got a lot more professional. "I'm very grateful Simmo did what he did. Him sending me away really opened my eyes. It was a big wake-up call for me. "It made me realise I was so close to losing what I love doing." McGovern's hard work off the field was rewarded with a debut against Carlton in round six, 2014, and by the end of that season, McGovern had established himself as a vital cog in the side. His ability to hold down a key defensive post or swing forward to boot clutch goals gave Simpson vital flexibility at the drawing board. And when key defenders Eric Mackenzie and Mitch Brown suffered season-ending knee injuries earlier this year, McGovern's importance to the side grew. At that point in time, West Coast was being tipped to finish at the lower end of the ladder. But that was before the emergence of the 'Weagles Web' - a zonal defensive system in which McGovern has played a defining role with his intercept marks. West Coast's undersized defence went from being a weakness to a strength, and the side is now just one win away from landing a dream premiership. McGovern can't wait for his chance to battle Hawthorn in Saturday's grand final at the MCG. And he will do so sporting a new nickname - Plasticine Man. McGovern has become known for his knack of being wounded by a host of knocks, niggles and ailments during games. The sight of McGovern limping towards the bench has become a common occurrence this year. One moment he's in a world of pain and seemingly done for the day. The next, he's pulling off a gutsy contested mark after being assured by the club's medical staff that everything is OK.
At the moment McGovern is nursing a sore left shoulder after being crunched by Adelaide skipper Taylor Walker in round 22, but he has vowed to play through the pain in a bid to curb Hawthorn's star-studded attack. McGovern isn't quite sure what to make of the Plasticine Man nickname. But one thing's for certain - he won't be going soft and pudgy during his next holiday.